Leading Manufacturer of activated carbon, activated charcoal, activated carbon granular and activated carbon powder from Salem. Our firm is counted among the most eminent providers of an excellent range of Activated Carbon. We offer this range at the most affordable prices with an assurance of high quality and as well as desired quantity. These activated carbons are widely used for extracting metals, water & gold purification, air filters in respirators and gas masks, sewage treatment and decaffeinate processing. Our range matches with the set quality standards and delivers reliable performance. We supply Activated Charcoal or carbon, is a form of a carbon that is processed to make it extremely porous and have large surface area. It is also used as filter media. This ensures excellent absorption rate or chemical reaction. 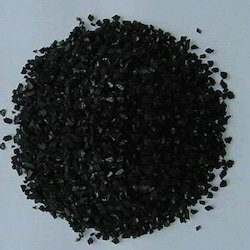 Activated charcoal is widely used as a filter media especially for the purification of ground water, air purification, drinking water filtration and many more. Iodine No. : 900 m²/g and 1100 m²/g. CTC value : 55% min. Hardness no : 98% min. 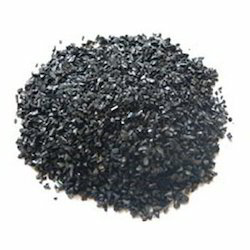 Activated Carbon Granules offered by us are manufactured using coconut shell, wood or coal. These are prepared by the activation process with the help of steam and myriad of pores with large internal surface area. 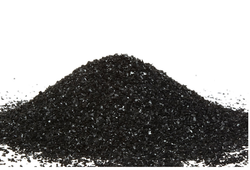 Our range of activated carbon granules is used in packaging applications. These are known for superior adsorption, high density and low attrition loss.